The two biggest questions on the minds of Registrars are “How will we drive domain sales” and “which TLDs will stand out in the minds of consumers?” Well, the holy grail for domain sellers is viral sharing among domain decision makers, but achieving virality is difficult. That’s why we’re excited about dotCEO. dotCEO is an opportunity to sell a unique new TLD to business leaders – a “target audience” that is identical to the core market for Registrars. Whether startup or corporate, CEOs are the decision makers when it comes to acquiring new domains to protect and promote their business. As an open TLD, dotCEO domains are available for anyone to purchase. However, verified CEOs can also join the dotCEO Social Network built on PeopleBrowsr’s Social OS platform. Verified CEOs will enjoy access to an exclusive, state of the art and rewarding social networking experience that’s open to their equals only. This innovative approach makes dotCEO the world’s first Social TLD. CEOs on the network will invite other CxOs to join, who will in turn want to buy their own name.CEO. With over 20 million CEOs globally, this is a huge market of people who actively work to connect with others. Leaders are able to promote and protect their online image with a trustworthy domain that is unique in its ability to convey authority. Consumers lack the time or common sense to recognize a fake or parody channel. Nor do they want to search multiple social networks for official channels. dotCEO provides an opportunity for leaders to solidify and control their personal and brand image online. Once connected to the dotCEO network on Social OS, CEOs can sync their Twitter, LinkedIn and Facebook feed into a single stream as part of their dotCEO network. By inviting others into their network, the CEO can manage conversations, promote their agenda and company and learn from others in a safe and easy to manage environment. Unlike sharing on Twitter, LinkedIn or Facebook, all conversations on their dotCEO network are owned. The data and analytics is owned, as are the users, turning dotCEO Networks into a very valuable asset that grows over time. dotCEO domains are instantly recognizable as an official brand channel. Brands can manage their corporate and CEO’s online reputation on a powerful new social network and domain. Brands who secure dotCEO domains will be safeguarding their trademarks and CEO from malicious imposters who may seek to misrepresent or embarrass. Promote and protect the CEO’s online image. 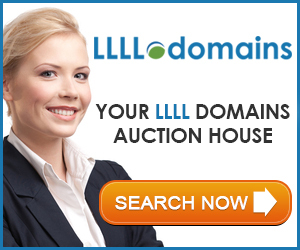 A unique trustworthy domain to convey authority in the market. Brand CEOs build their own micro network, combining their social identities into a single place by adding Facebook, Twitter, LinkedIn and others. Unlike on Twitter and LinkedIn, the Brands owns and controls all the content, posts and invited users to their .CEO network. dotCEO sunrise announcement is in January 2014. One month later 100,000 CEOs will notified of the opportunity to acquire their own personal dotCEO domain in a marketing partnership between dotCEO TLD and social analytics company PeopleBrowsr. dotCEO TLD has built over 100,000 customized CEO landing pages based on data from Wikipedia and PeopleBrowsr’s Twitter datamine. Registrar partners will be featured in the first marketing campaign planned for February 2014. $499 x 3,500; $999 x 2000; $2,500 x 1,500; $5,000 x 800. We’d like to thank Scott Milener for sharing his ‘Case For’ dotCEO, and we hope it was beneficial and informative reading. Tomorrow our final ‘In Their Own Words’ guest before NamesCon will be Dusty Trevino with dotVEGAS. Your moderated comments are welcome. This entry was posted in - In Their Own Words by Irene Conde-McKim.Bookmark the permalink.